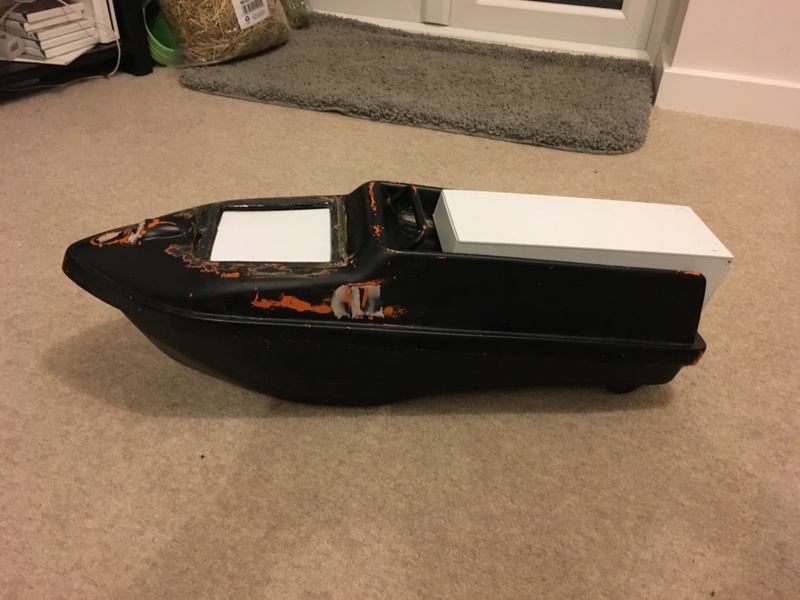 I’m in the process of building a bait boat mainly for ferrying out live baits. 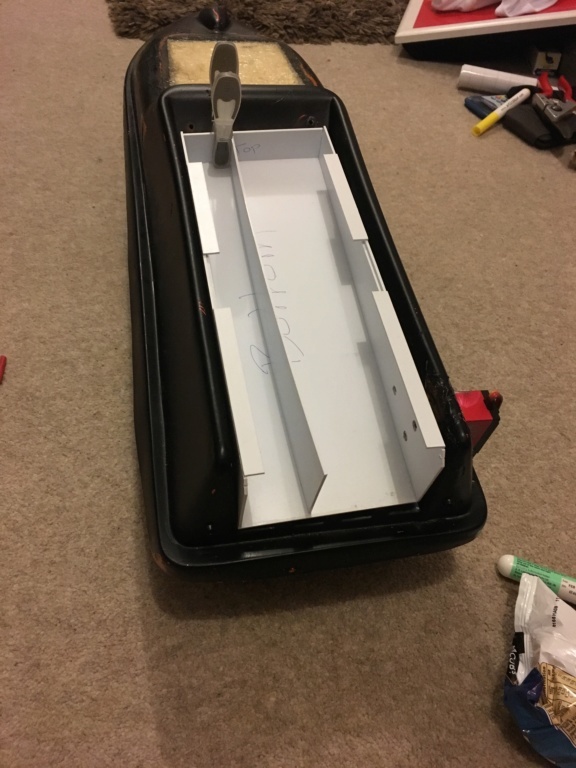 I’ve half built a tipper style hopper with a sliding lid so the bait can’t flap around too much and tangle up. The partition bit is so the lead can go one side and bait the other. 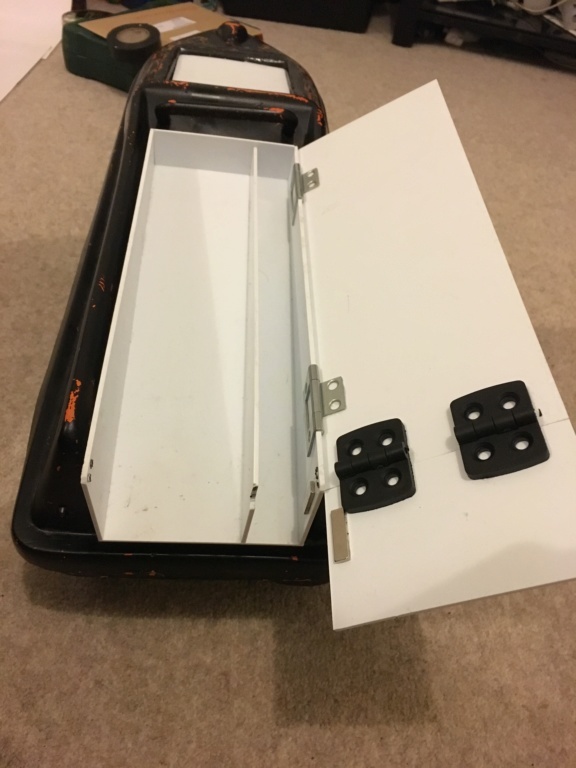 The tipper tips and the lead slips down, hits a door held with magnets and the lead and bait land perfectly. That’s the plan anyway. 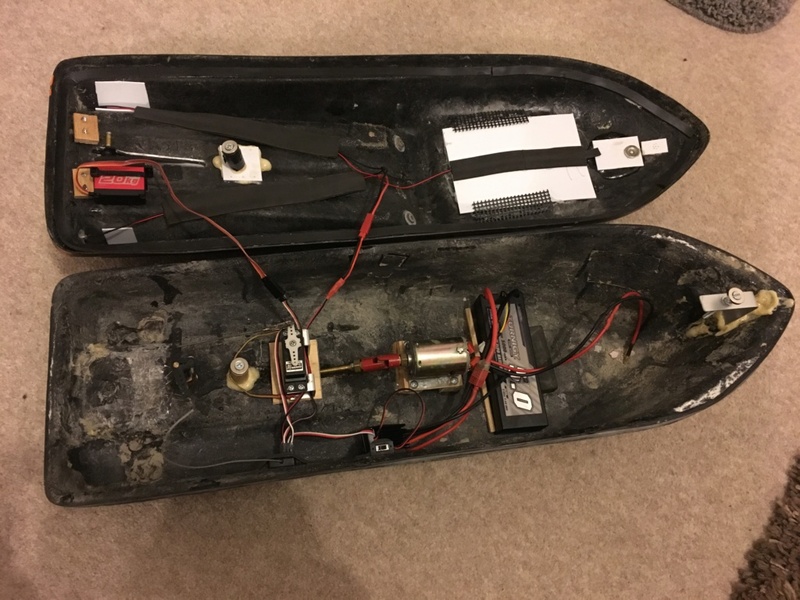 I’m wondering if anyone has got any ideas or has built their own? That looks nice but you wont catch much on your carpet!!! seriously though it looks good and 10 out of 10 for thinking out of the box. Finally got to the field testing stage! It’s very crude and aesthetically she’s not finished. Got some holes to fill and sand down and of course a lick of paint but I’ll only be doing that once I know she works and doesn’t sink! Taking her to a small local pond to see how she goes Saturday (as long as I can get some live bait) in preparation for an over night we I’m doing just after Christmas. Fingers crossed!! 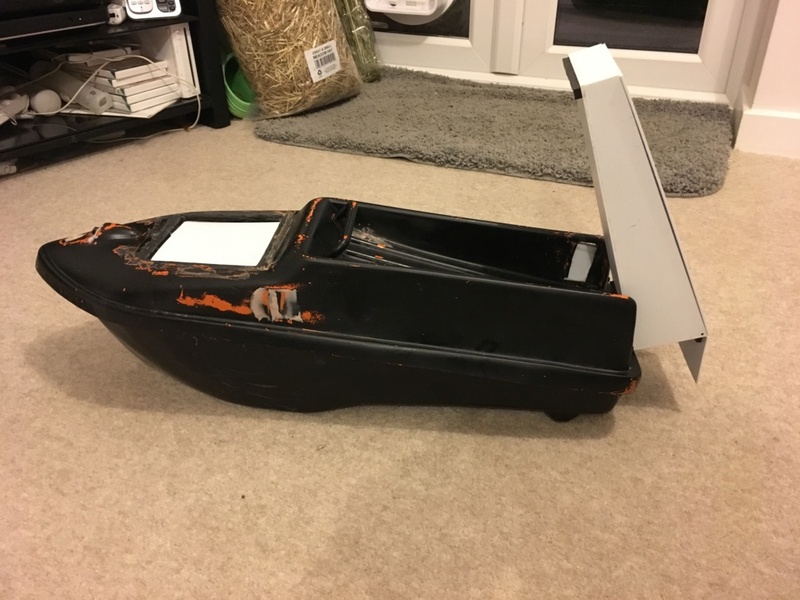 if the whole white bit lifts up so that the bait and tackle can slide out surely it will act like a sail (while its up) and possibly tip the boat. Have you tested it in windy conditions yet? matt859 wrote: if the whole white bit lifts up so that the bait and tackle can slide out surely it will act like a sail (while its up) and possibly tip the boat. Have you tested it in windy conditions yet? » live bait set up?